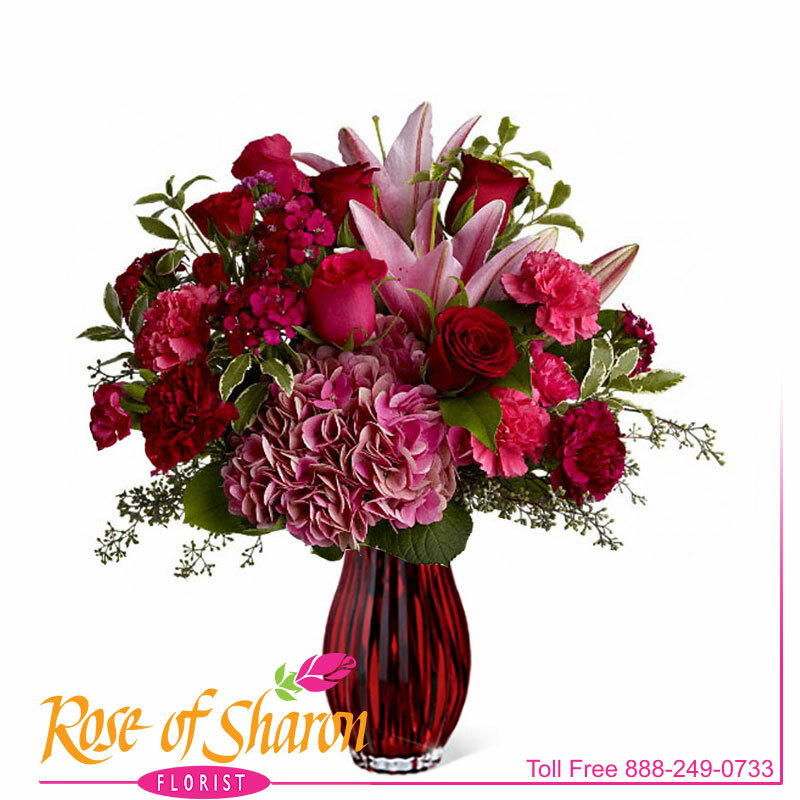 Make a lovely lady blush with a generous mix of wine-hued blossoms such as roses, hydrangea, Asiatic lilies and more, in rich shades of burgundy, red and pink mixed with a touch of fragrant eucalyptus, and delivered in a simple glass vase. With over half a dozen different varieties of flowers, It's a colorful and rare bouquet for any occasion. We will select the freshest available blooms to re-create the look and feel of this arrangement so contents may vary. 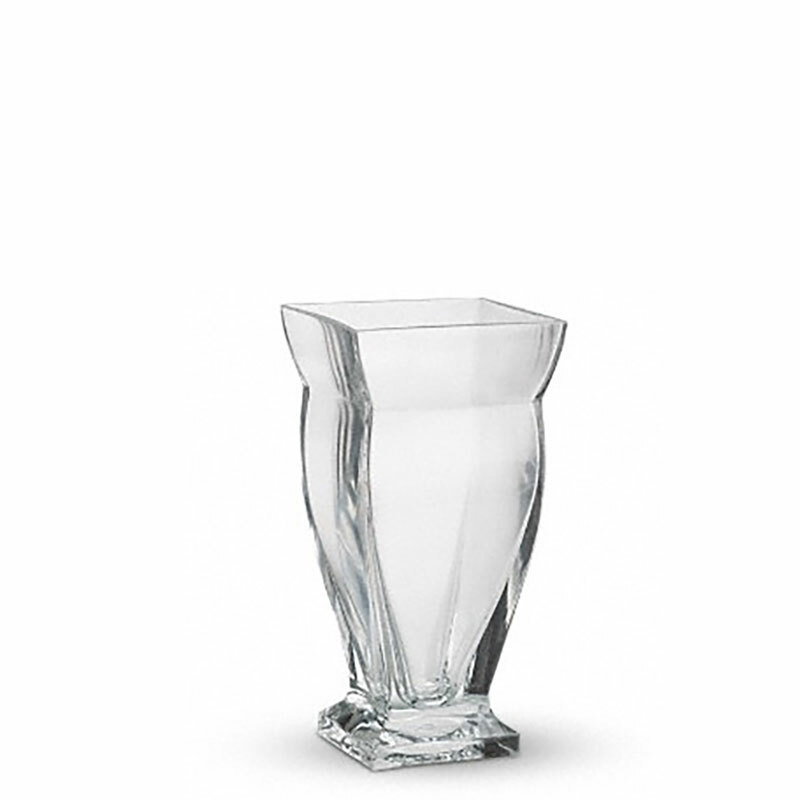 Shown in Limited Edition Red Couture Vase.